Finding shelter where you could. Time for our Ed to get back to work. Kyle Ward leads out of the final climb. 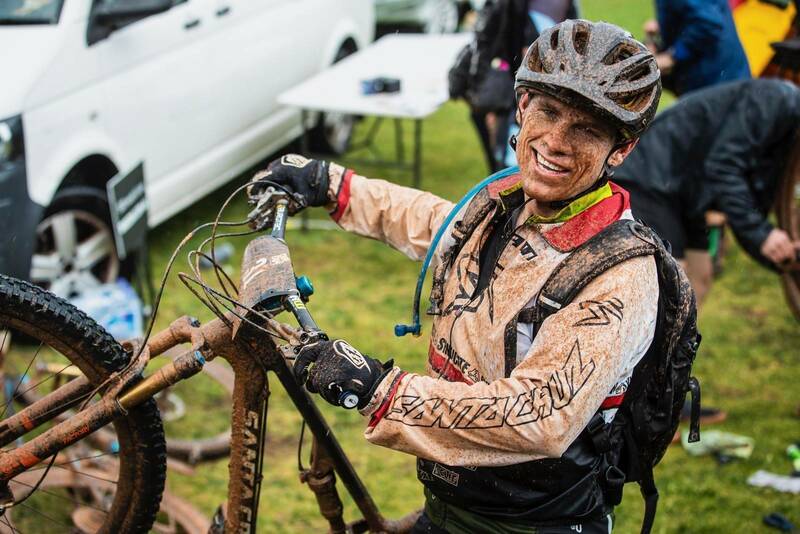 Samara Sheppard - all smiles at the finish. 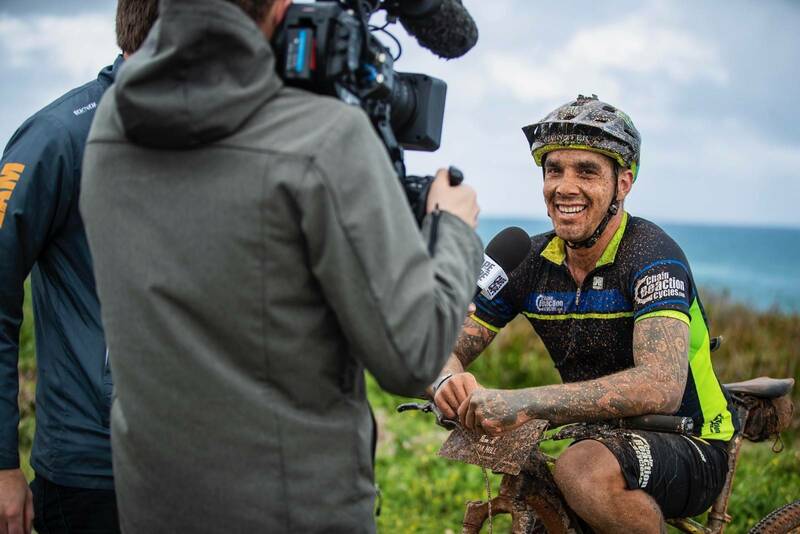 Sam Hill is racing the Cape to Cape again, after the Shimano Enduro round last weekend, and of course his 2nd EWS overall win. 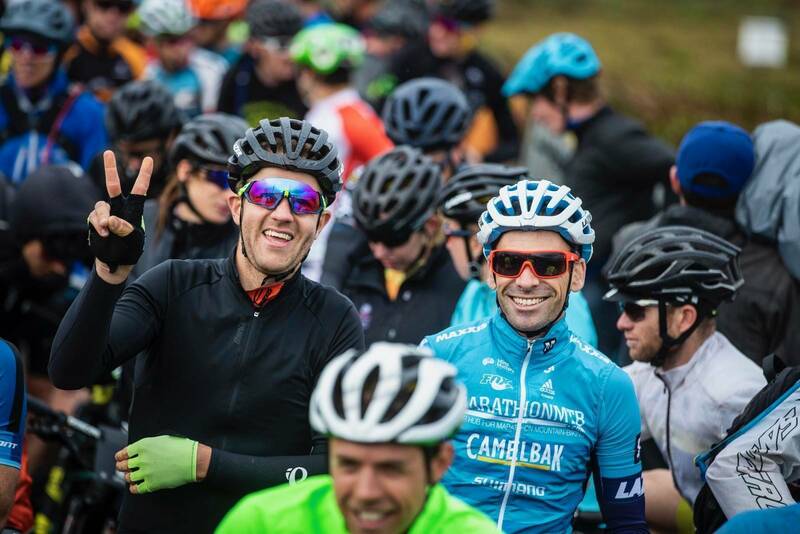 Cape to Cape 2018 is go! It's started a little slippery but that didn't stop the smiles. 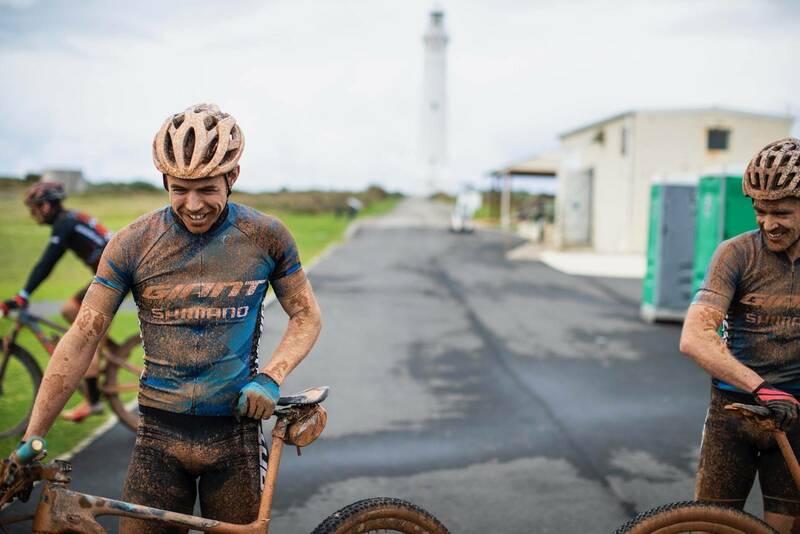 On the opening stage of the 2018 Cape to Cape, 2017 victors Samara Sheppard and Brendan Johnston picked up where they left off, winning the opening stage at Cape Leeuwin in conditions that were a little different to the norm. 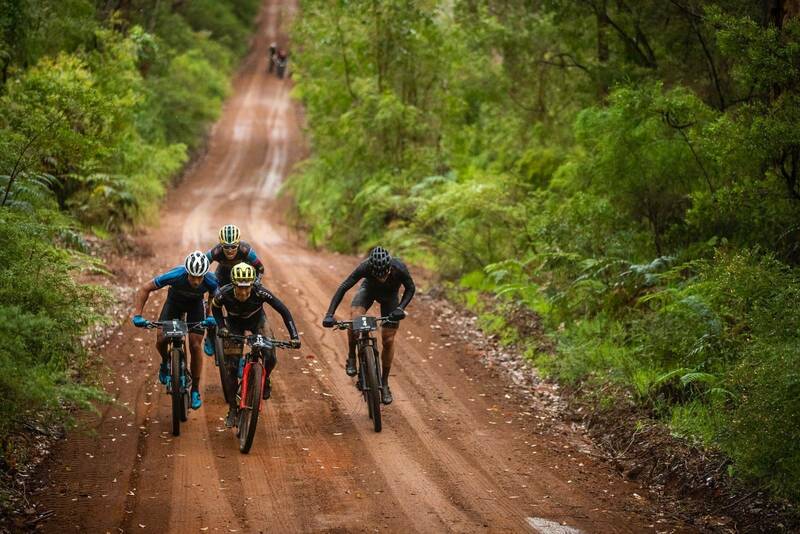 With images of blue skies, azure blue water, hard-packed red dirt trails and amber beverages filling mountain bikers social media feeds on Tuesday and Wednesday, the storm that hit Margaret River last night, while forecast, felt like a cruel turn of fate. 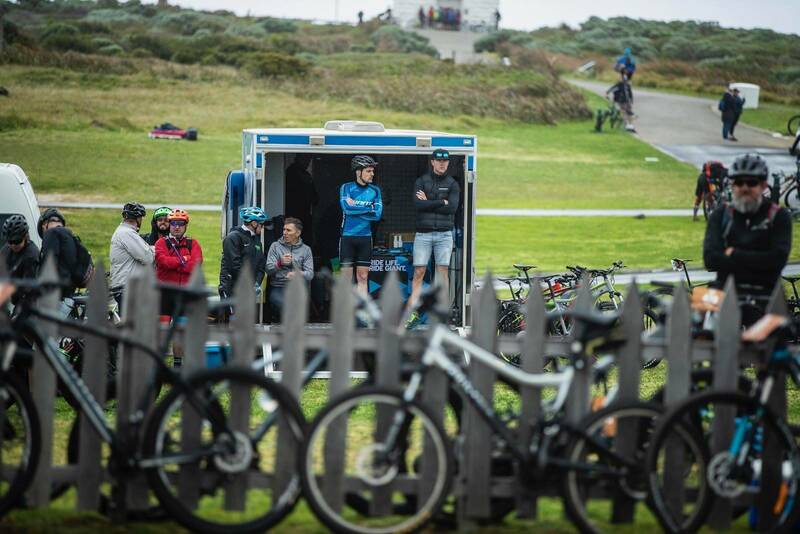 Lots of riders travelling from interstate tend to come a day or two earlier, as the trails at Margaret River are a blast to ride, the coast is beautiful, and there is plenty to see and do. There is a certain charm to rain and wind at night, but as the day dawned, the bkue sky peeped out, then a rain squall would return, then it would clear. 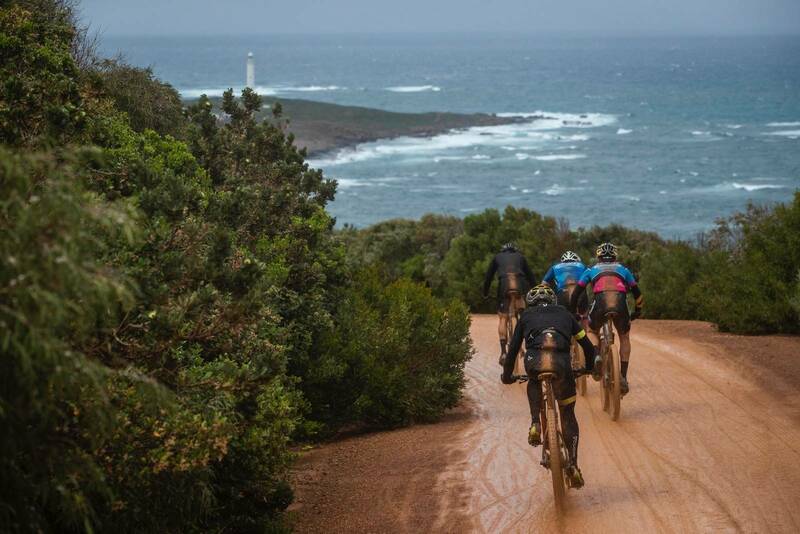 But by the time we were all at Cape Leeuwin and coralled ready to race, another rain squall had hit, with sideways rain and cold wind. 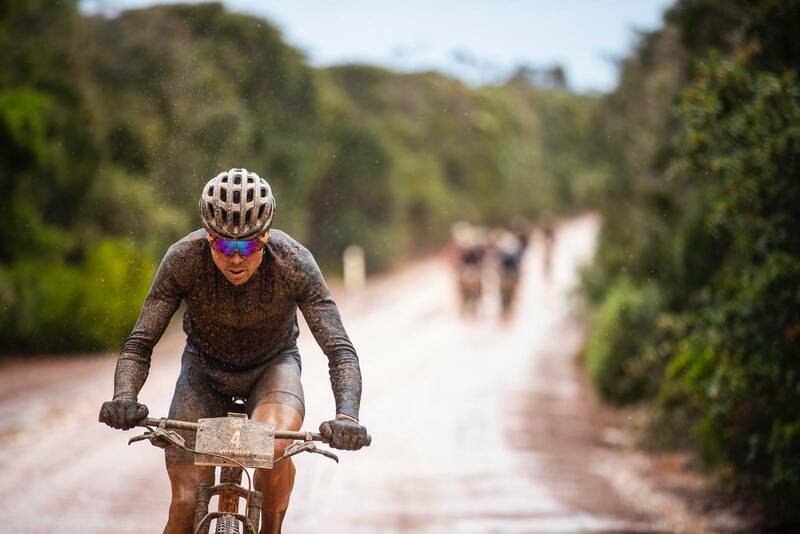 The front lines of the race was packed with the household names of Australian endurance mountain biking. Johnston, Nankervis, Mullens, Sheppard, Ward, Mattocks, Odams, Dec, Tucknott, van der Ploeg... the field size is about 1400, and there are few events who can draw such a crowd. But the crowd was freezing, shivering, and ready to race! The lead out vehicle finally got rolling and riders exploded, trusting in a hard effort to warm up. 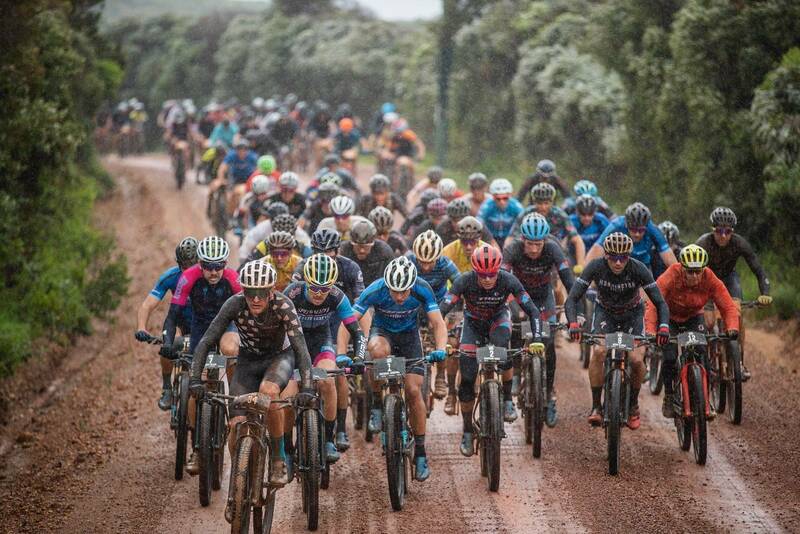 As the race hit the left hand turn onto the dirt road, everyones visibility went from bad to worse, with a rain of fine red mud splattering into uncovered eyes or coating eyewear. And then things got hard. "The vision was real hard and hard to follow wheels," said Brendan Johnston. "Kyle Ward was off the front on the climb. We caught Kyle near the start of Heartbreak Hill, and Cam (Ivory) was with us too, but then that's where four of us got away. Rees and Andrin came across, and with Kyle that was four of us." The quartet worked hard and stayed clear of the chasers to the finish, where Johnston won the sprint, with Reece Tucknott in second, ahead of Swiss rider Andrin Beeli. 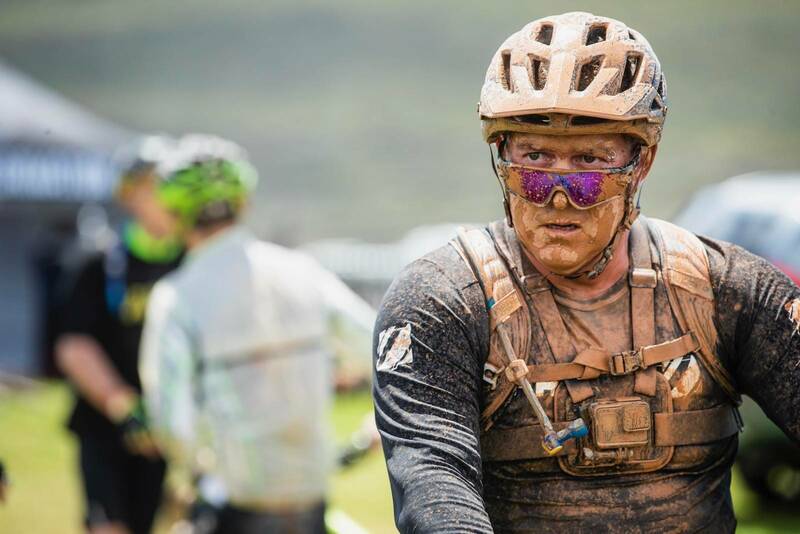 "I've been happy with how I'm going but I don't think as well as the past two years," added Johnston, explaining his surprise at the stage win. He also expected that Cam Ivory would have been in the lead group. "I thought he (Cam) would be right there and he would be the man today. 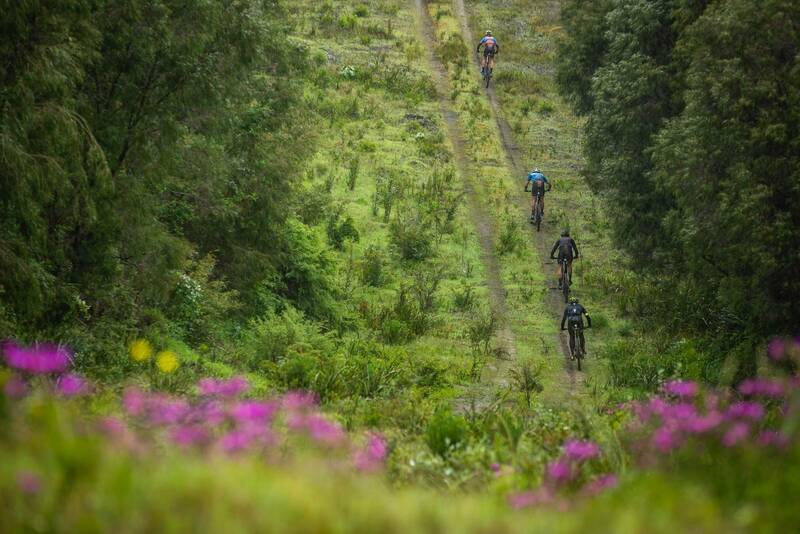 Today is typically the hardest stage of the four stages, and tomorrow it gets pretty hard towards the end of the stage - it's another opportunity to get time. But it's all very close." The top 7 riders are all within 1 minute, so the race is very much open. And Reece Tucknott is on the same time as Johnston. Yep, gritty eyes sting a bit. 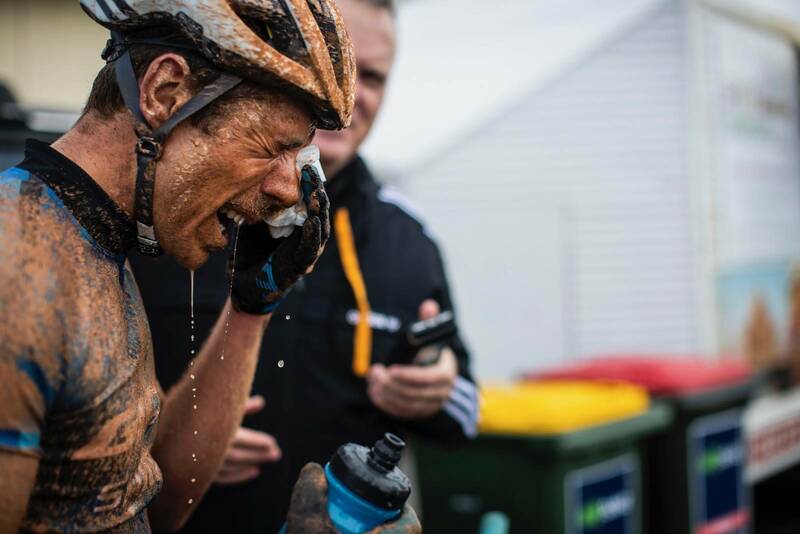 "Reece was really strong, and we were all evenly matched on the climbs. Reece is going quite well, and he's stepped up a bit again this year. Those guys will be right there ready to take the leaders jersey." But for now, that yellow jerseys sits on the shoulders of Johnston. Something he's accustomed to, winning Port to Port and Reef to Reef this year. In the women's race, Samara Sheppard lead from start to finish, with an aggressive start up the opening climb, and then into Heartbreak Hill as well. She ended up in a reasonable group of riders, although did also find herself on her own at points. "It's definitely the goal to get three wins in a row here at Cape to Cape," said Sheppard after the race. "I had a good start and felt good off the line. The start suits me quite well with the hills. Around the back I got a bit dagged by the group I was with, losing the wheels. 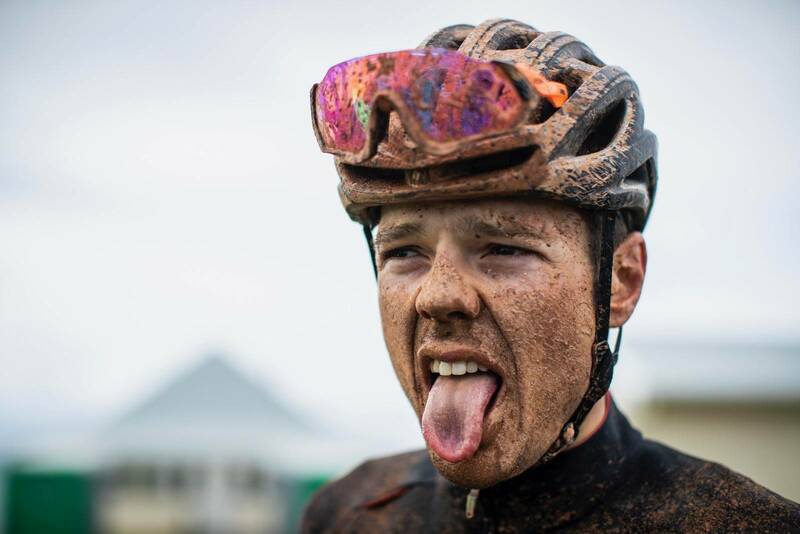 I found myself on my own for a wee while, and tried to sprint through the mud rain at the finish." "There's a very strong women's field, and it's not over yet," stated Sheppard, clearly not feeling overly confident with a little over 2 minutes lead on Holly Harris. "Anything can happen from here where you can lose or gain time. There's a lot of racing to come." 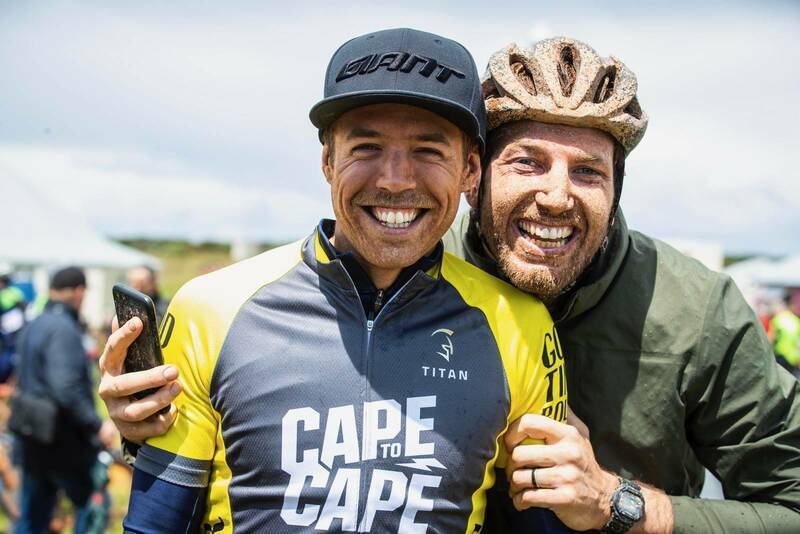 "I want to win Cape to Cape one day, but I don't know if this is my year," said Harris at the finish. 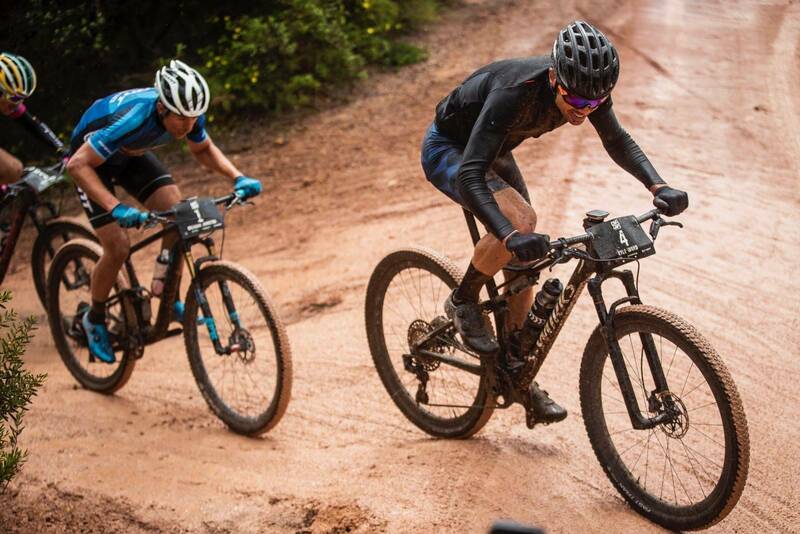 Harris competed in both the XCO and XCM World Championships in September, after the final two World Cup rounds. She's done a lot of top level racing in the past few months, with the travel that goes along with it. "The body is struggling along a little bit now, but I'm just loving it. I love this stuff." That said, Harris is hoping the sun comes out for tomorrow, "I was expecting to be laying on the beach in the sun, but the weather is what it is." 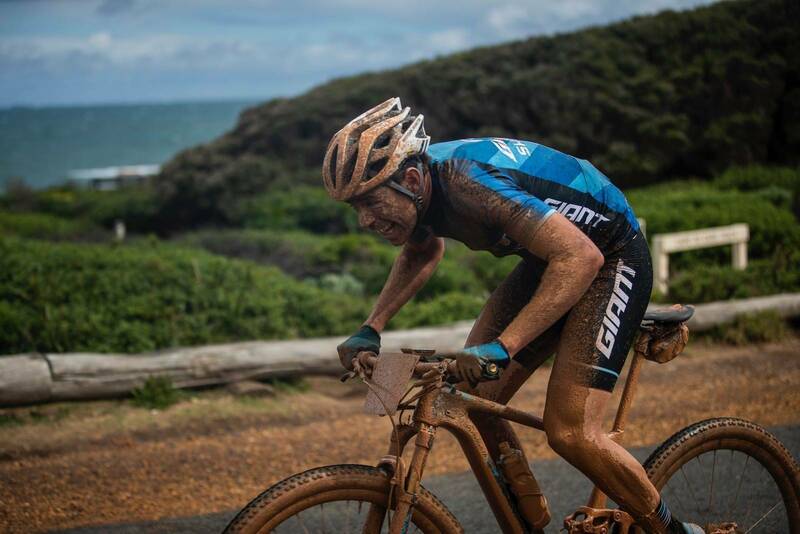 "I'm stoked with 2nd, there's a really big women's field and I've never been on the podium at Cape to Cape so I'm not cranky with 2nd place." 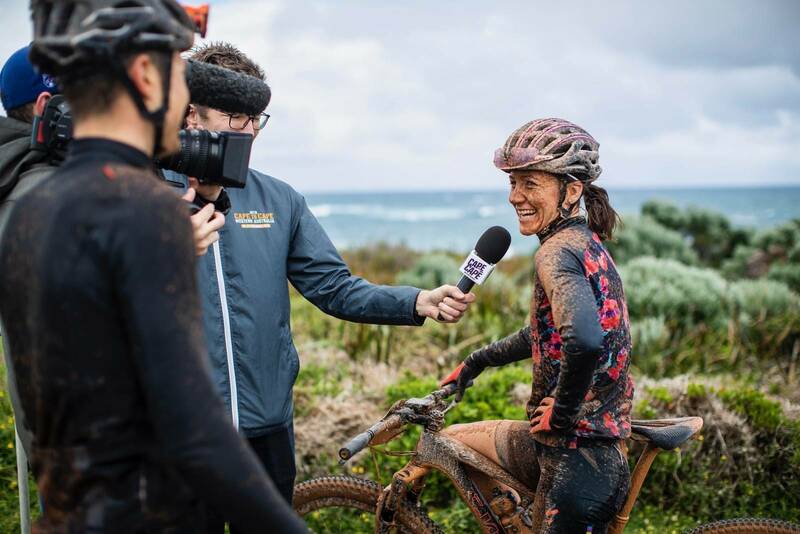 Renata Bucher was 3rd, ahead of Peta Mullens in 4th, who is back on her mountain bike for the first time in... a long time. 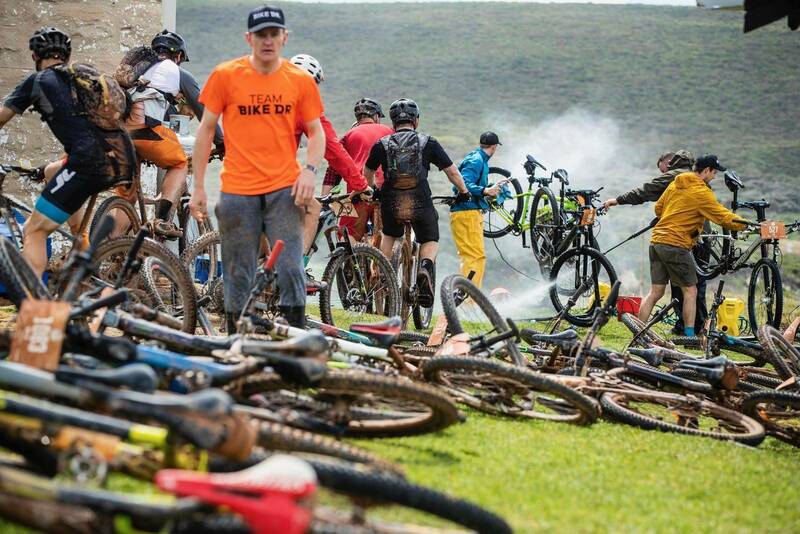 "I haven't ridden a mountain bike for seven months, I had to borrow one to come over here actually!" laughed Mullens. 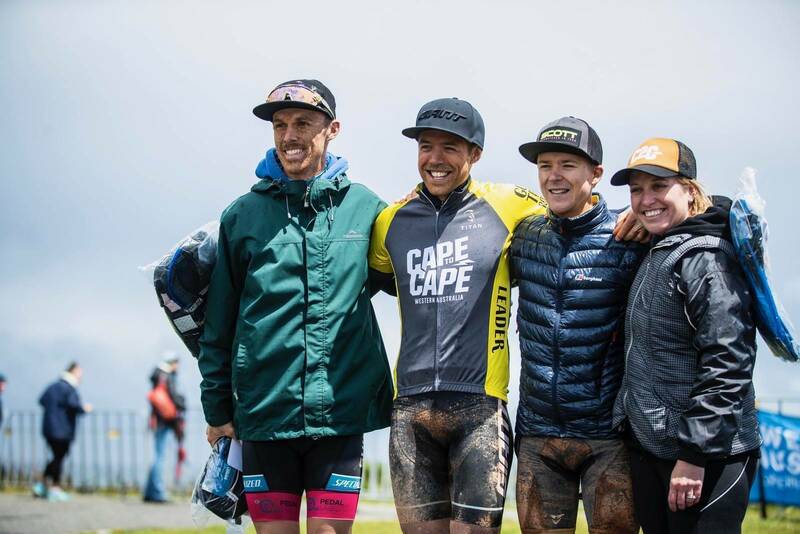 Still, the weather at Cape to Cape was still a topic of conversation, as Mullens was covered head to toe in mud as we spoke in the cafe post-race. "This is my 5th edition, and I've never had rain when I've been here. But surprisingly, the trails were in mint condition. 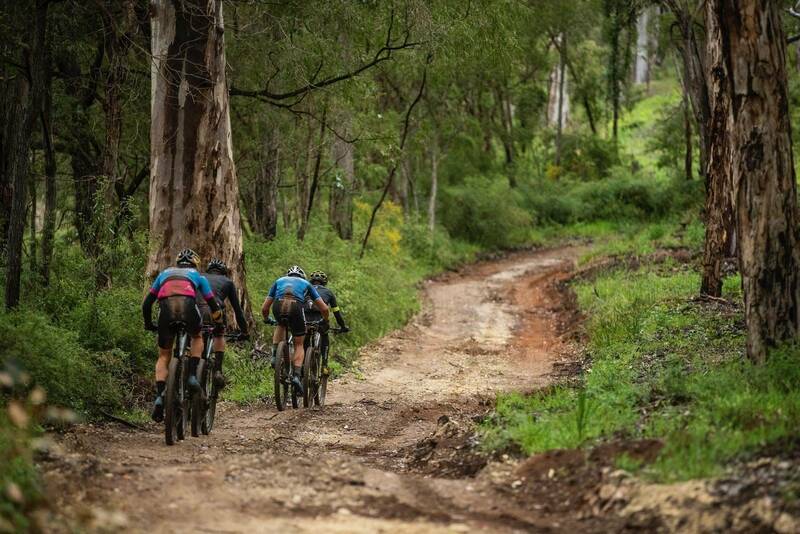 The clay fire trail in and out made us look really muddy, but that was it." 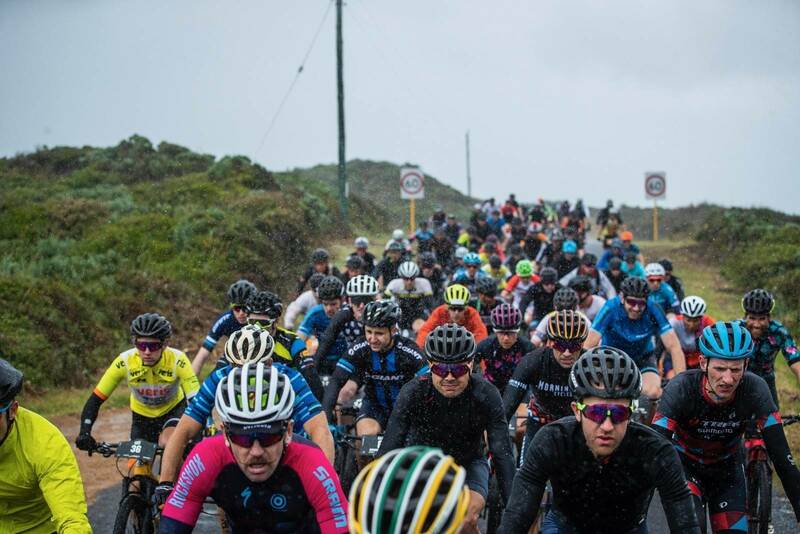 "I love Cape to Cape, it's a shame Jarrod couldn't come. 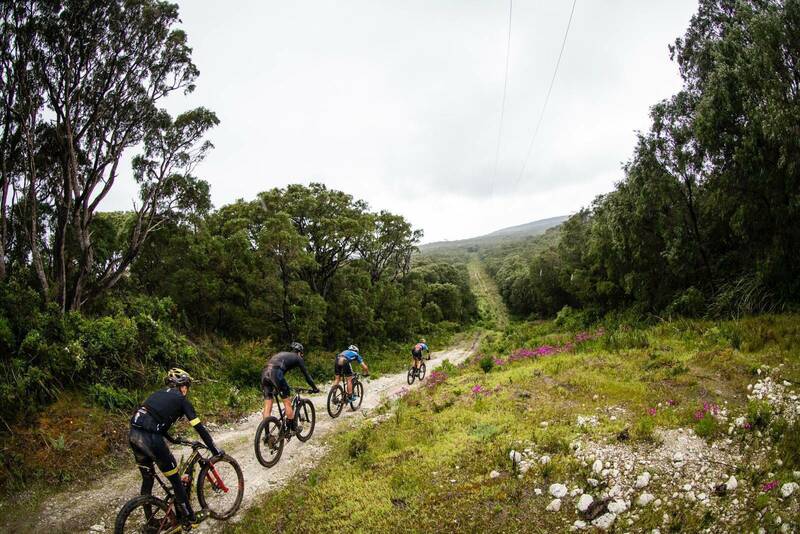 But I'm here to enjoy the experience, find some fitness and fall back in love with mountain biking. I'm enjoying where I'm riding, and who I'm riding with here." In the Masters categories, there's going to be a right ding dong between Jon Gregg and Brad Clarke. While Gregg has a little over a minute, Brad Clarke won't let that deter him! Tracey Chapman leads the Masters women, with a couple of minutes on Kristen Gadson. 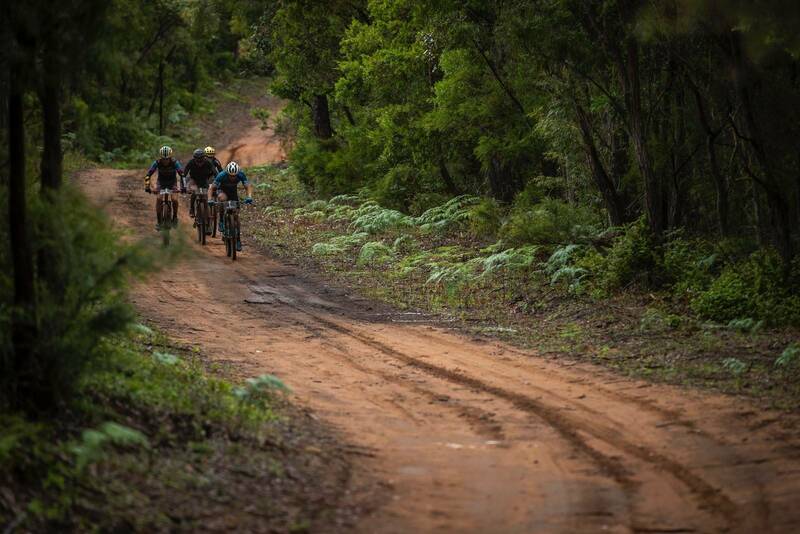 Tomorrow we head to the luxurious Leeuwin Estate for 63km of trails and racing. Will the lead change? Will it stay the same? 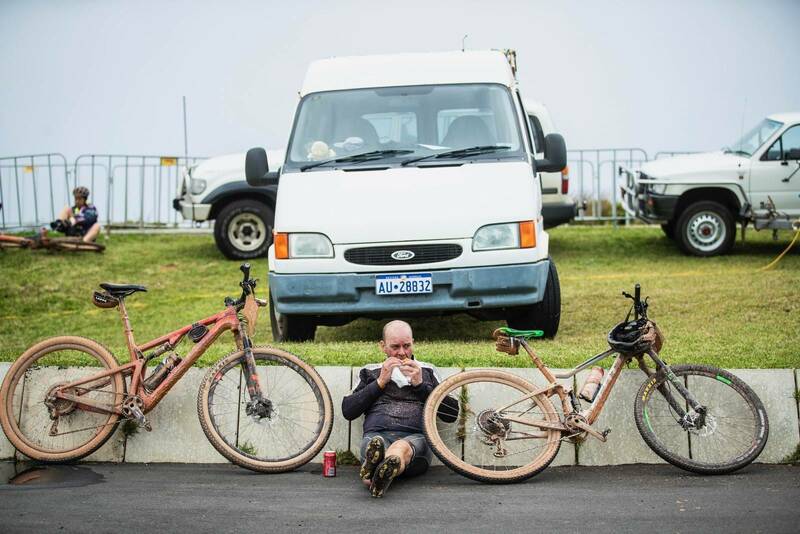 Will vendors have the burger you want when you finish? Let's find out tomorrow!